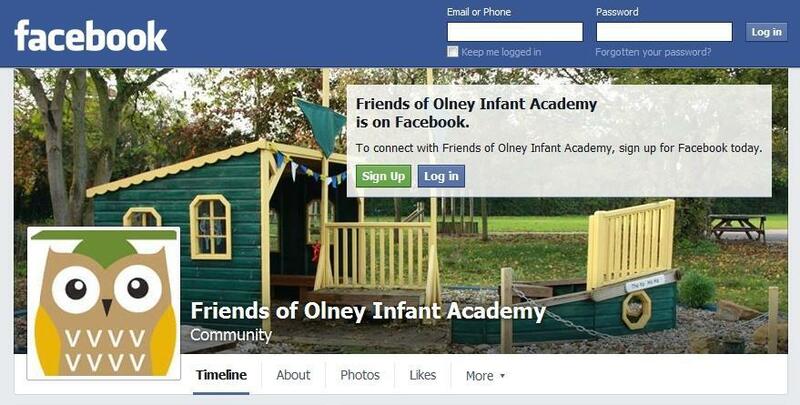 Friends of Olney Infant Academy is the parent teacher association for Olney Infant Academy. FoOIA has a long history of active fundraising, generating thousands of pounds each year to provide a wide variety of complementary equipment and activities for the benefit of every child in the school. FoOIA is a registered charity and qualifies for Gift Aid on donations. You’ll find our latest news and fundraising events on our Facebook page. Simply, we are a committee of mums, dads, friends, school staff and members of the governing body who offer our time and skills to support the school. Anyone is welcome to join us, either formally as a committee member or informally to support the running of events. FoOIA is also a great way to get to know other people, learn a bit more about the school and have some fun. We arrange a wide range of activities and events for children, parents and friends throughout the year with the aim of raising additional funds to buy items that the school would not normally be able to afford due to budget constraints. All profits go directly to the school. FoOIA aims to support the social and educational development of children at the school. Typically, the money raised supports is used to enhance the school environment and purchase additional equipment. For example, funds support Book Week and African Week. Plus we have purchased musical instruments, an audio system, new lighting for the hall, updated playground markings, a ball wall, the Trim Trail, laptop computers, iPads, drying racks, cookery equipment, reading book sets, wooden play-tower for the Foundation Area plus lots of ancillary items such as lamps for the interactive whiteboards. We are also delighted to have been able to donate £7,000 towards the building of the canopy above the Foundation outdoor area outside Brown Bears giving access to an outdoor classroom that can be used in all weathers. In addition, we have contributed to the new school library and paid for a Pirate Ship which is being used for outdoor learning as well as free play. FoOIA support is much appreciated by the school and the funds raised help to make the school an exciting and well-resourced place for our children to learn. We always need volunteers to help run events or to assist with setting up activities through the committee and we are always looking for support from local businesses. We love to hear ideas for fundraising or ways we could be supporting the school, so please get in touch if you can help in any way. Cake sales...movie nights...pamper night...family portraits...quiz night...school discos...Christmas Concert DVDs...Christmas cards...Bag2School...Summer Fayre and so much more! If you are able to lend your support to FoOIA, please email our joint Chairs, Emily Winter and Henrietta Prosser via fooia@icloud.com or leave us a message on our Facebook page.